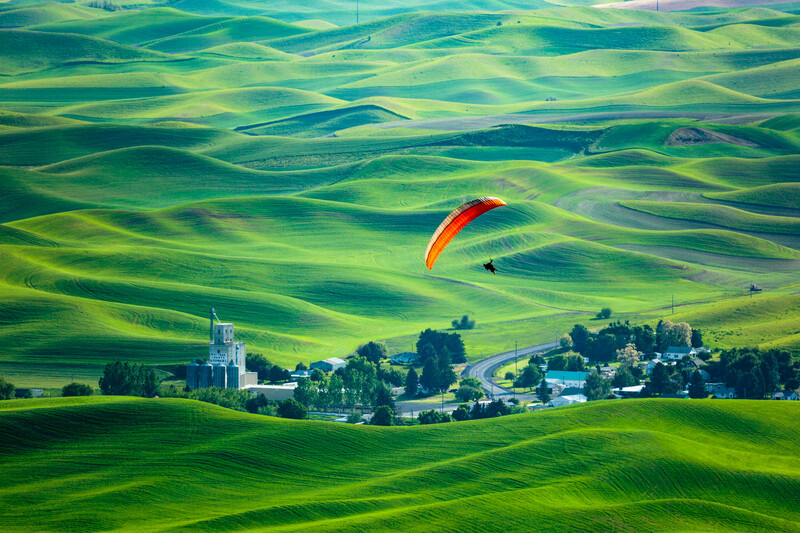 Nate Anglen, a paraglider, flies high above the scenic, green landscape of the Palouse Region near Steptoe Butte State Park in southeastern Washington. The rolling hills were formed by ancient wind deposited dust and silt called "loess". These fertile deposits are reknown in the agriculture world for resulting in high-yield dryland harvests of wheat, barley and lentils. The aesthetic, dune-like contour of the hills also draws photographers from all over the world.